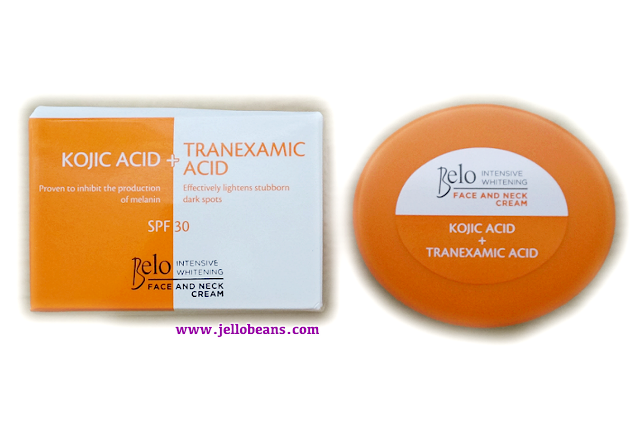 I have Belo's newish skin care product: the Belo Intensive Whitening line featuring the Belo Intensive Whitening Body Cream and the Belo Intensive Whitening Face and Neck Cream. I got both products from SampleRoom.ph. This skin care line also includes a soap which I have also tried but won't be part of this review. I used up both products for several weeks (around 5 weeks), to test their effectiveness. I use the Body Cream daily right after my bath and the Face and Neck Cream twice a day, right after bath in the morning and before going to bed. 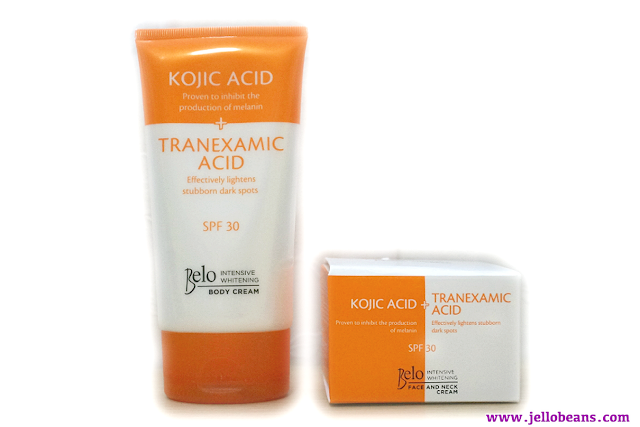 Kojic Acid is an organic compound that effectively inhibits the production of tyrosinase and melanin giving skin a visibly lighter appearance. 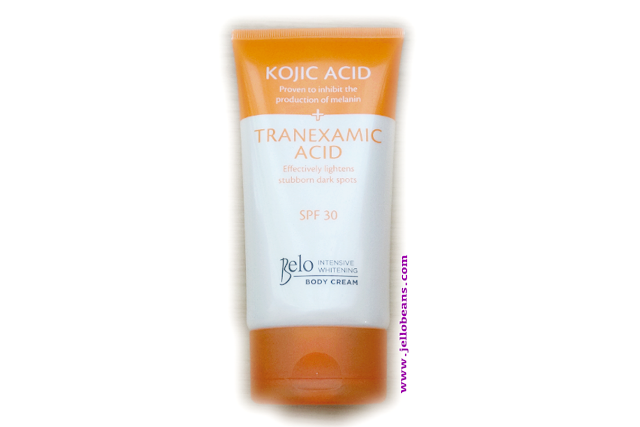 Tranexamic Acid, on the other hand, is a peptide proven to inhibit inflammation and melanin formation. 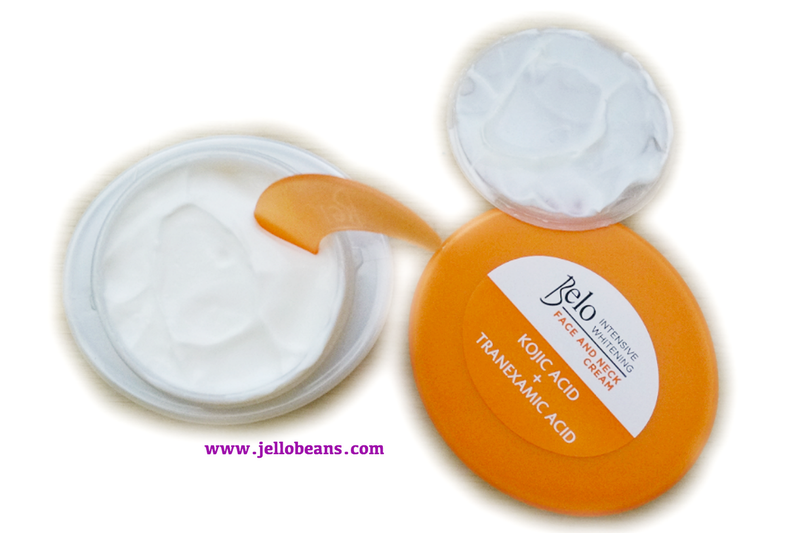 It is ideal for stubborn dark spots that do not respond to other skin lightening ingredients. 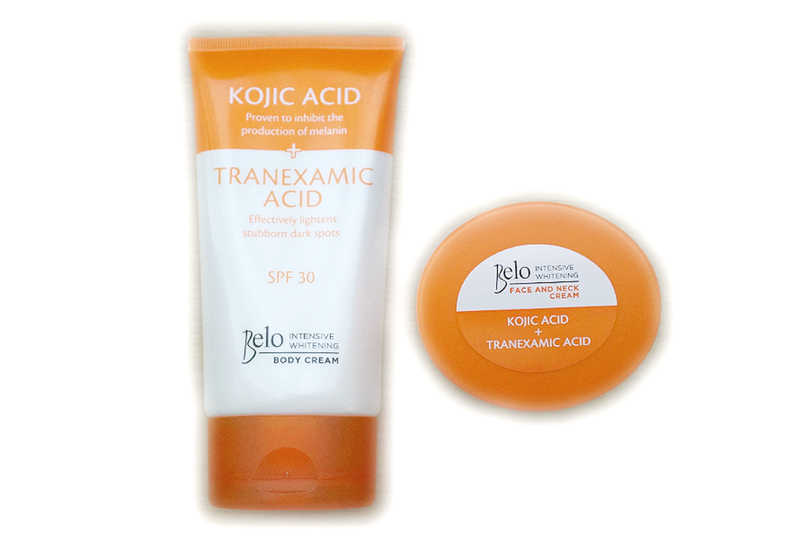 "The perfect complement to the Kojic Bar, the new Belo Intensive Whitening Body Cream (Lotion), with Kojic Acid & Tranexamic Acid that intensively whitens skin. It has SPF 30 that protects skin against harmful UV rays"
I like how this body cream feels on my skin. It's lightweight and non-greasy and at the same time very moisturizing. I use a palm-full of product and slather it all over my body right after I take a bath. I don't worry that I'm wasting money because this stuff is relatively affordable so you can apply the recommended amount to get the full sun protection. The SPF 30 is enough for everyday activities. 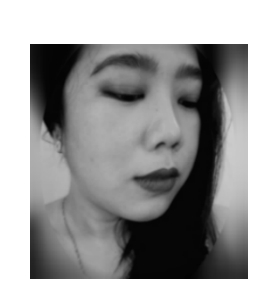 I didn't really notice any significant whitening although I can see my complexion evening out and being smoother. The one thing that I'm not really fond of is the almost over-powering smell of this lotion. The citrusy scent doesn't actually make me sneeze but it lingers on the skin.If not for the overpowering smell, I might consider this as a staple everyday lotion but as it is, I won't be repurchasing. "The perfect complement to the Kojic Bar, the new Belo Intensive Whitening Face and Neck Cream, with Kojic Acid & Tranexamic Acid that intensively whitens skin. 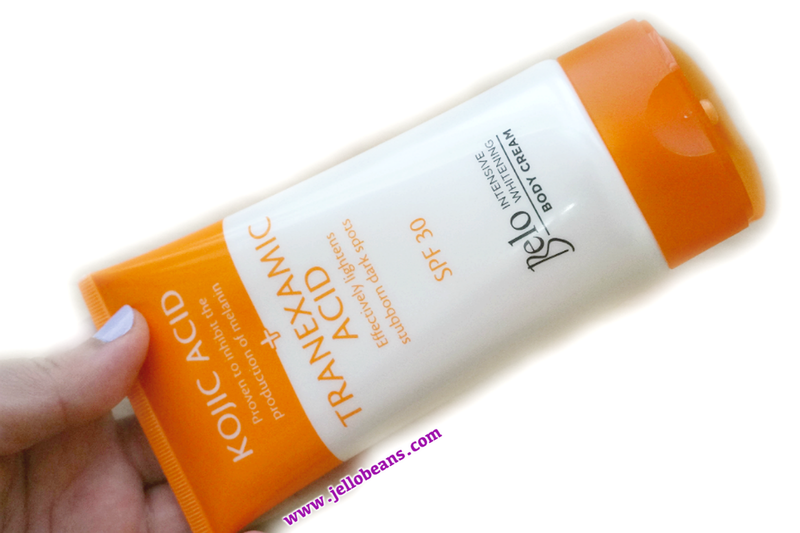 It has SPF 30 that protects skin against harmful UV rays." I like how they provided a scoop so I don't have to dip my fingers to get the product. This is more hygienic and prevents any contamination. This face and neck cream has a thicker consistency compared to the body cream. Because of the creamier formula, it feels heavy when applied so I a very small amount during the day and only apply more before I go to bed. I think the Kojic Acid n the cream irritated my face as I can feel some stinging every time I apply this. Also, the citrusy scent bothered me too much so after a couple of days, I stopped using this on my face and neck and just applied this on my body. I don't recommend this for people who have sensitive skin as it might cause some irritation. You can try to test this out by putting on a small amount first and see how your skin would react. Personally, I don't want to risk damaging my skin so I just used this on my hands and legs.